Some are accustomed that if one did not visit the grave of a parent within seven years then he may not do so any longer. Others are only careful after ten years of absence. Some Poskim argue that one may visit a parent’s grave even after absence of many years and there is no need to be particular in the above. Practically, it is permitted to visit a grave of a parent even after the passing of seven years. Nevertheless, when seven years have passed, it is customary to send a messenger [such as the grave keeper] to the grave prior to the child’s visitation, to inform the parent that his child is coming to visit. Likewise, the child is to separate charity in honor of the parent prior to visiting. Grandparents and other relatives: The above custom is only with regards to the grave of a parent, however the grave of a grandparent or other relative may be visited even initially after many years of absence. One who has not visited the grave of a parent in seven years is to send a messenger to the grave to notify the parent of his arrival. Likewise, he is to give charity prior to the visitation. Women: See Nitei Gavriel 84/9 for a dispute regarding if this applies also to married women who did not visit. See Igros Kodesh 24/338 which involved a question from a woman. It is however unclear if she was single or married. Likkutei Sichos 20/647 “Some are accustomed to send a messenger and give charity even though this is not necessary”; Igros Kodesh 24/338 “Give charity before and after. 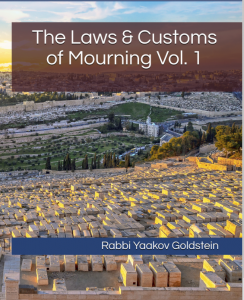 [printed in Shulchan Menachem 5/328] In the above letter [Igros Kodesh 24/338] the Rebbe advised a woman who had not visited the grave in seven years to a) immerse in a Mikveh that day, before going. b) Fix the Matzeiva or a matter of the like; c) Give charity before and afterwards.